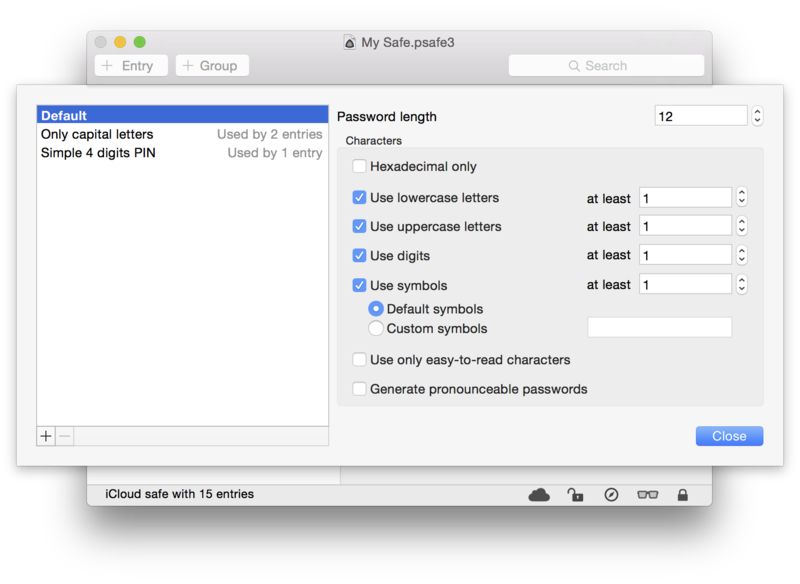 Every safe has a default password generation policy, which is applied to all its entries except the ones which have specified their own custom policies or a named policy. Named policies are optional and stored in your safe. 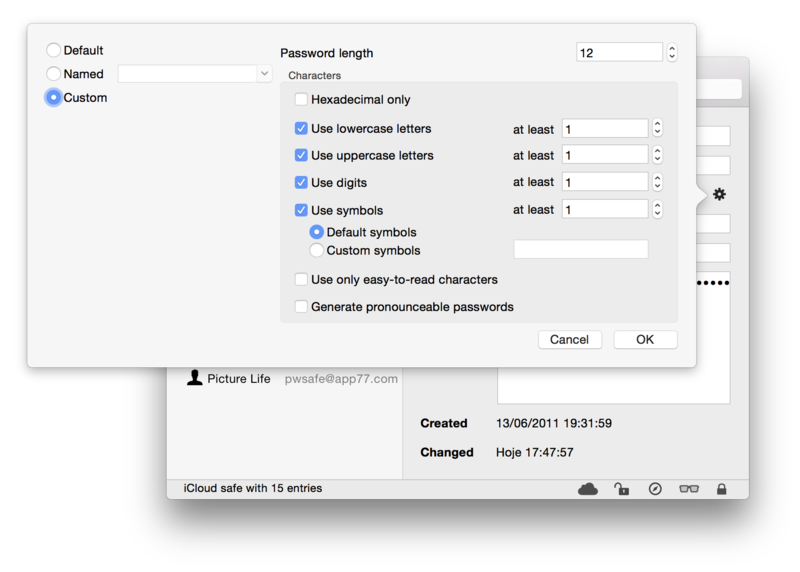 To edit the safe's default password policy or its named policies, choose the 'Safe' - 'Password policy' menu. Once a named policy is used by at least one entry, it cannot be renamed or deleted.